Who is the Singer Stylist 7258 For? Are there Any Alternative Sewing Machines? Decision Time: Is This the Sewing Machine for You? If you love singer sewing machines, then you are going to love the Singer Stylist 7258 Full Disclosure: We earn a commission if you click this link and make a purchase, at no additional cost to you. . You get so many stitches with this machine that you are not going to know where to start. We always love a machine which comes with a load of accessories, and this one does exactly that. This is a professional machine which will give others a run for their money. No matter what your sewing project is, you will be able to get it done with this amazing piece of equipment. Singer Stylist 7258 Price: $180.97 "I bought this Singer as a gift but ended up liking it so much that I kept it." What is a sewing machine without a number of stitches at your disposal? No matter what your sewing project, you are sure to find a stitch here to complete it. 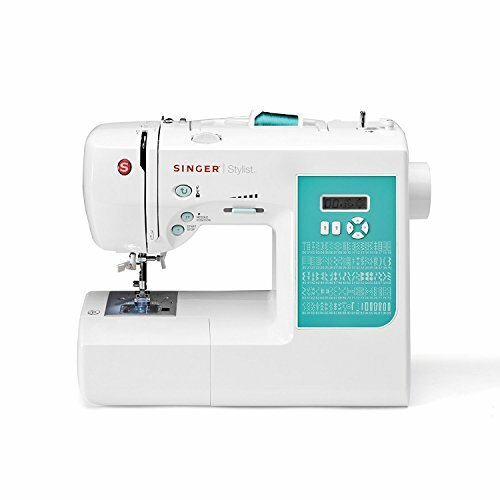 The Singer Stylist 7258 sewing machine comes with 100 built-in stitches. 100! When I was glancing at the diagram which came with the machine, there were some that I had never seen before. To me, that is a good thing. You will love to play around with all the stitches and create projects which you never dreamed of. How many presser feet would you like with your machine? How about 8 snap-on presser feet? Whether it be for free-motion work, buttonholing, or zippers, there is a presser foot for every occasion. This is a machine which is built on the latest technology. There are an LCD screen and 6 buttons. Using those six buttons, you are able to control the machine entirely. Two buttons will allow you to choose the desired stitch with the other four giving you control over the stitch size and width. 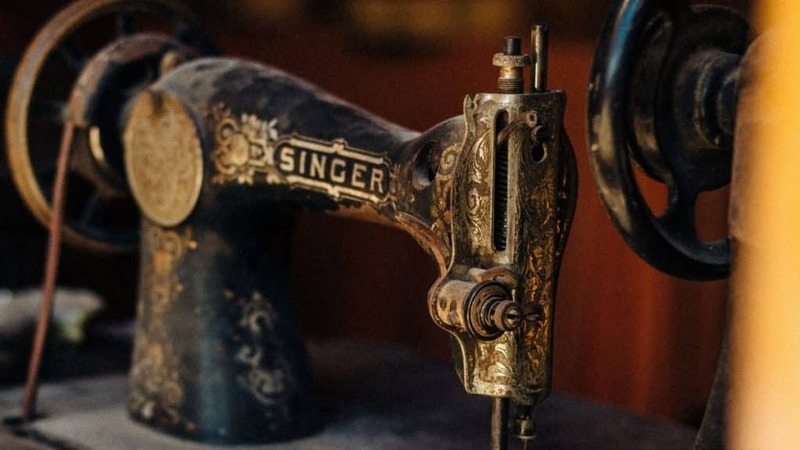 When we are looking at sewing machines, we want power, but we also want simplicity. This machine comes with a jam-proof drop-in bobbin. There is also a see-through cover so you can monitor your bobbin when you are putting it in place and when the sewing machine is running. The automatic needle threader is a must have for all sewing machines (at least, in our opinion). Your basic utility stitches are all there, so you are able to complete all of your regular projects. You also have 6 options when it comes to 1-step buttonholes. The additional stitch options are where this machine really stands out. With so many decorative stitches, quilting stitches, heirloom stitches, and more, at your disposal, there is almost no project you cannot tackle. We like the buttonhole stitches. The sides come out looking extremely even, and the corners are reinforced ensuring that your buttonholes are never going to fray or come apart. When we compared this machine to others, it was easy to find the correct buttonhole stitch even though there were so many stitches to look through. Even though this is not a machine we would recommend to complete beginners, the machine is still easy to use with intuitive controls. With only 6 buttons, you are easily able to choose between 100 stitch options. The Singer Stylist 7258 comes with a foot pedal. You can choose to control the speed of your stitching with this pedal, or you can do without it entirely. By using the speed control slider and the start/stop button, you can achieve the same effect. Simply set the speed slider to the required speed and start the machine. Stop at any time and adjust your speed. Easy! The needle up/down button will let you move the needle up or down at the push of a button. You can also program your machine to leave the needle in the desired position. For instance, you can program the sewing machine to move the needle to the up position when you press the stop button to stop sewing. The Singer Stylist 7258 Full Disclosure: We earn a commission if you click this link and make a purchase, at no additional cost to you. is a sewing machine which will benefit everyone, but we would definitely recommend it more toward advanced users. With so many stitches and accessories to choose from, it can be overwhelming for a novice or beginner user. As you are able to do so much with this machine, novice sewing machine users are not going to be tackling enough advanced projects to make this machine worthwhile. If you are starting out with sewing, then we would recommend a less-advanced model to get to grips with a sewing machine first. This machine is not for complete beginners. If you have never used a sewing machine before, we would recommend starting with something a little simpler until you have mastered the basics of sewing. Once you have, this will be a great machine to move onto. We absolutely love the Singer Stylist 7258 sewing machine. If you are a beginner, it may overwhelm, but it will still be easy enough for anyone to use. Experts will also find everything you’ll need with this machine. If you do feel that this is not quite up to your standards, we would recommend the Singer Confidence Quilter 7469Q Full Disclosure: We earn a commission if you click this link and make a purchase, at no additional cost to you. . It is a powerful machine with more than twice the stitch options of this machine. The brand is the same, so you know you are still getting quality. The only difference is that you are getting more power and quilting options. We do not need to recommend purchasing additional accessories for this machine as it comes with so many already. When you buy the machine, you are getting 5 needles included. You also get 4 bobbins, an auxiliary spool pin, 2 spool pin discs, 3 spool caps, a buttonhole opener, a screwdriver, and a darning plate. When you are starting out with this machine, you have everything you need to get started on any project. What more can we say about the Singer Stylist 7258 Full Disclosure: We earn a commission if you click this link and make a purchase, at no additional cost to you. sewing machine? It’s perfect for intermediate to expert users. You have 100 stitches at your disposal, more stitches than the average person will need for their sewing projects. You also have an LCD screen and limited button options, creating an intuitive machine which you will get to grips with in no time at all. We like the number of accessories which come with the machine so you will not have to spend on additional accessories when you first buy it. You also have enough needles, etc. to last for a long time. Inevitably your needles will break, so it is always nice to have some spare. This is a powerful machine which will conquer almost any sewing project. The Singer Stylist 7258 sewing machine came in at #2 in our Best 12 Sewing Machines List. Here’s the full list, including the other 11 sewing machines. The following links will take you to the review of each machine. Singer Stylist 7258 Full Disclosure: We earn a commission if you click this link and make a purchase, at no additional cost to you. Singer Quantum Stylist 9960 Review: Looking for Power? Why I Bought the Brother CS6000i Sewing Machine?